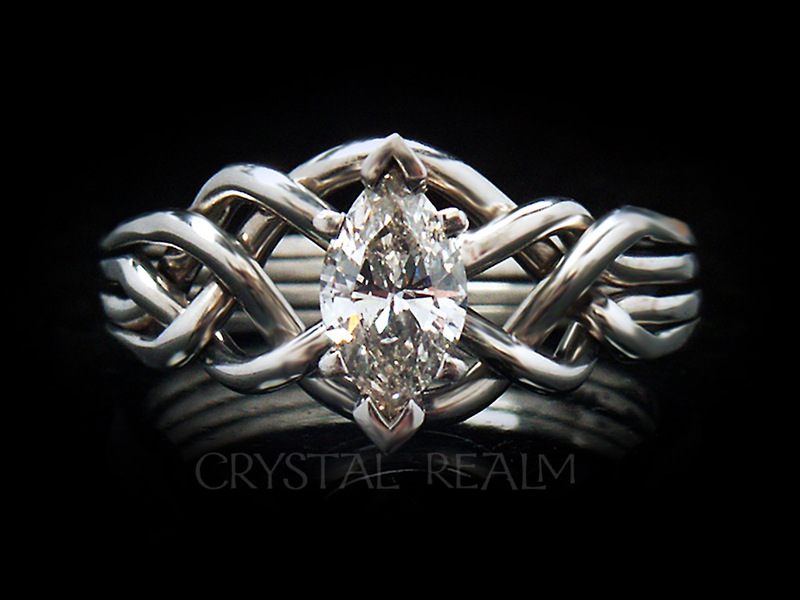 You may order a four-band, medium weight puzzle ring in sterling silver, in advance of ordering your puzzle engagement ring. 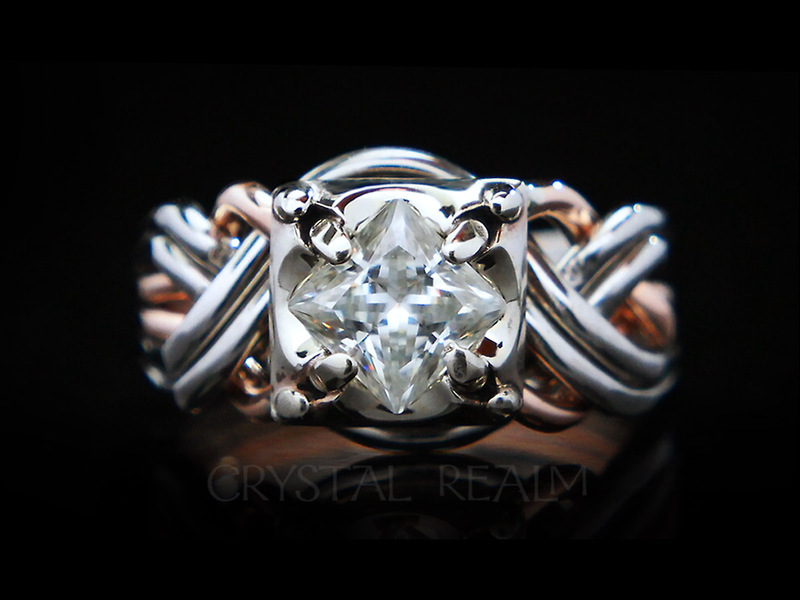 Most of the engagement rings on our site are made in this same medium weight. 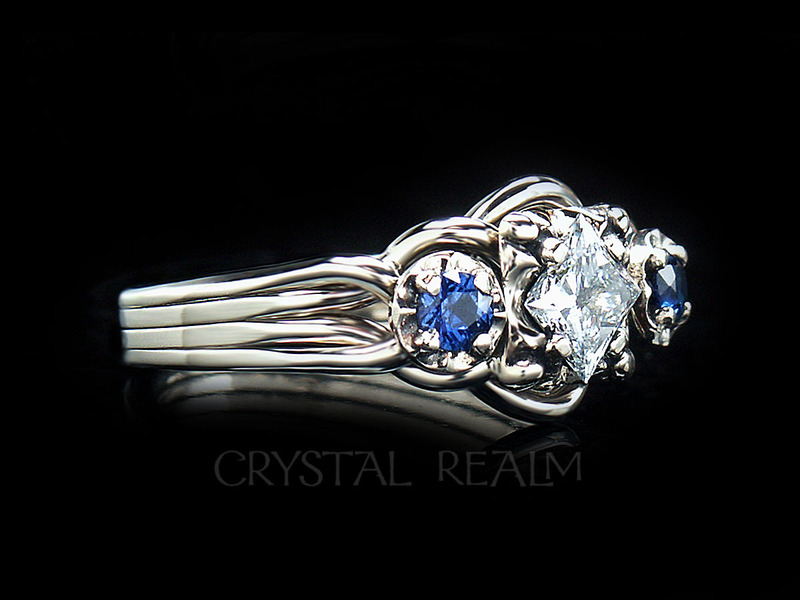 This will enable you to ensure that you are happy with the style, the weight, the puzzle-ness, and the ring size. 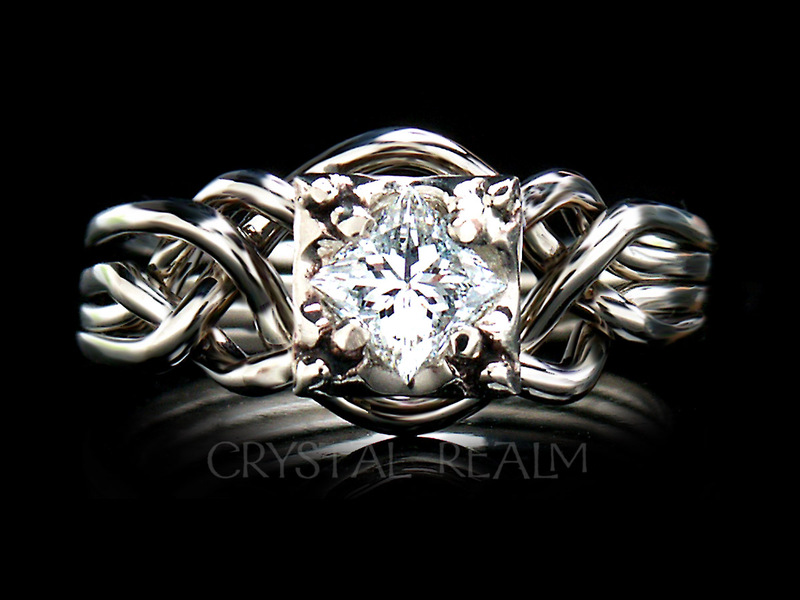 This ring will be hand-woven, just like the puzzle engagement ring you plan to order. 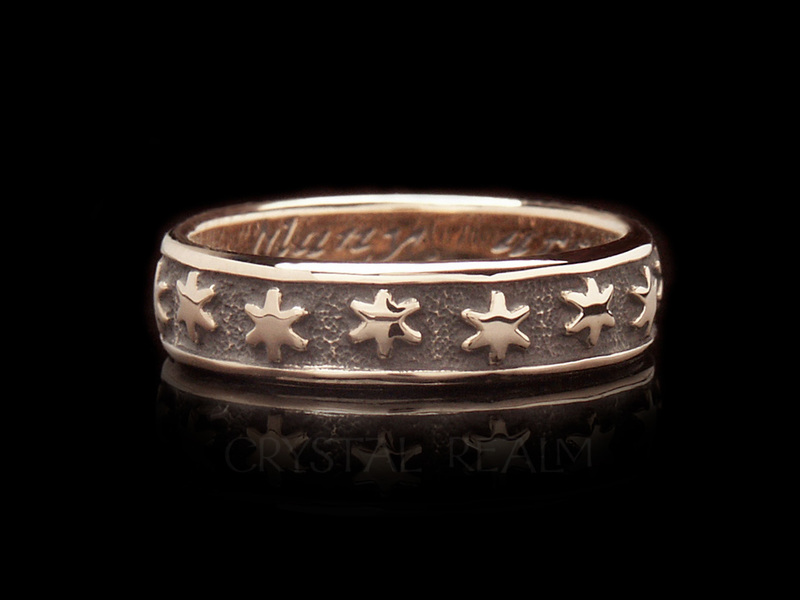 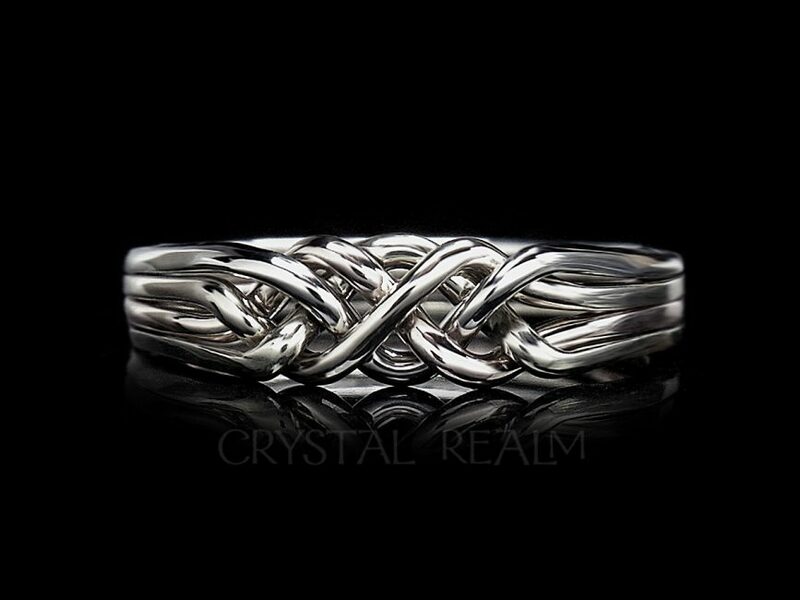 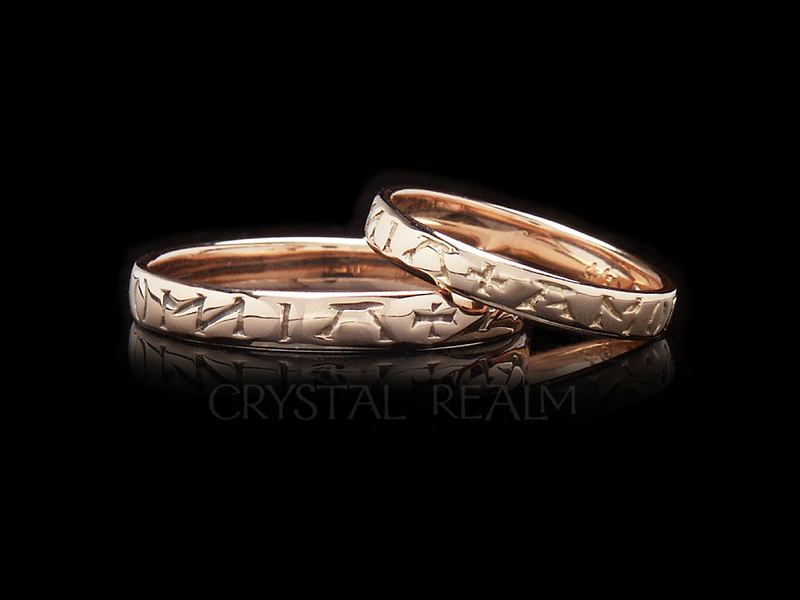 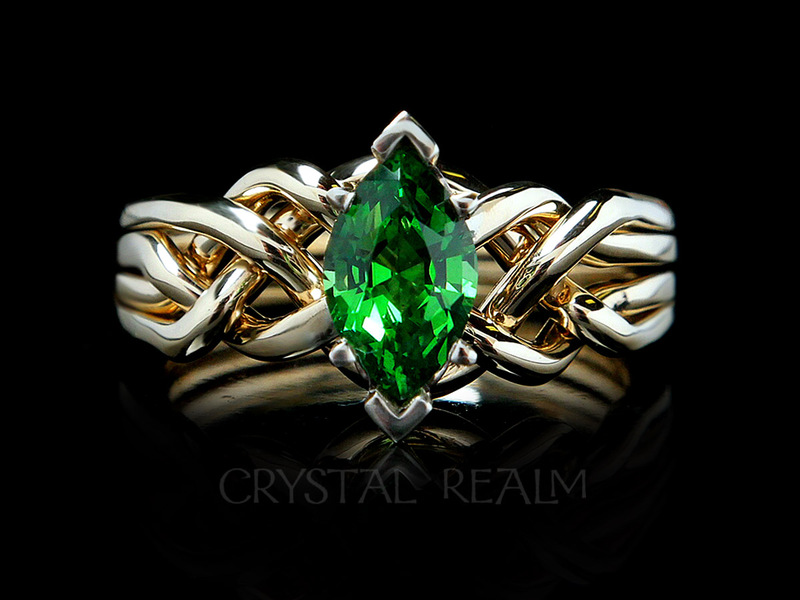 This is unlike the majority of puzzle rings on the market today, which are cast, not woven. 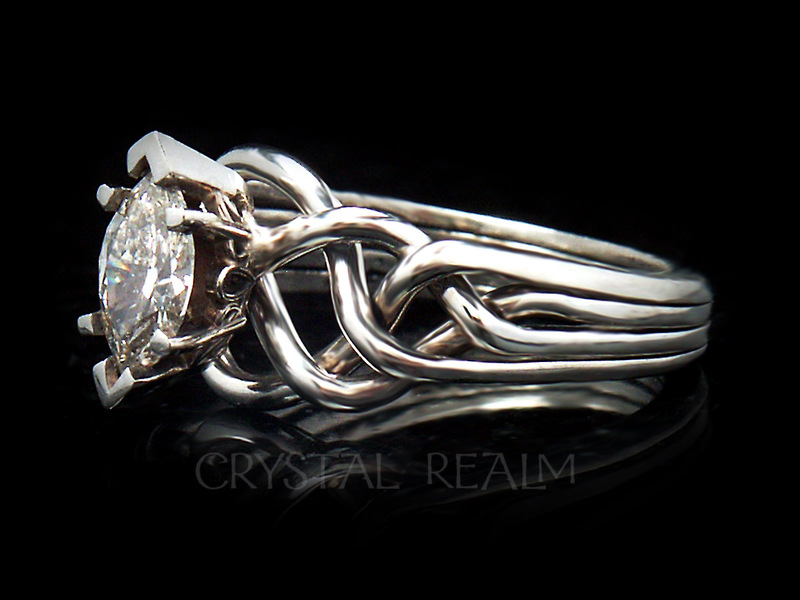 The only difference between the trial ring and your ultimate engagement ring is this: The trial ring will have a standard or tight weave. 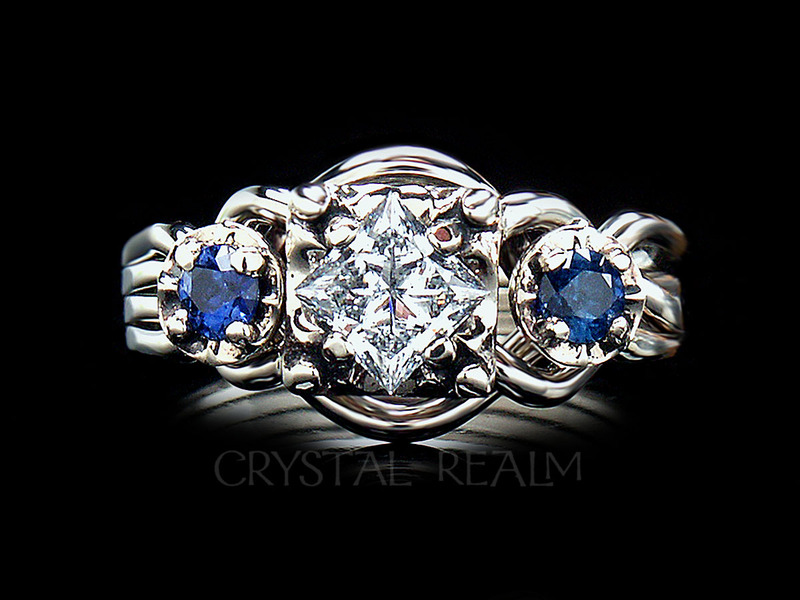 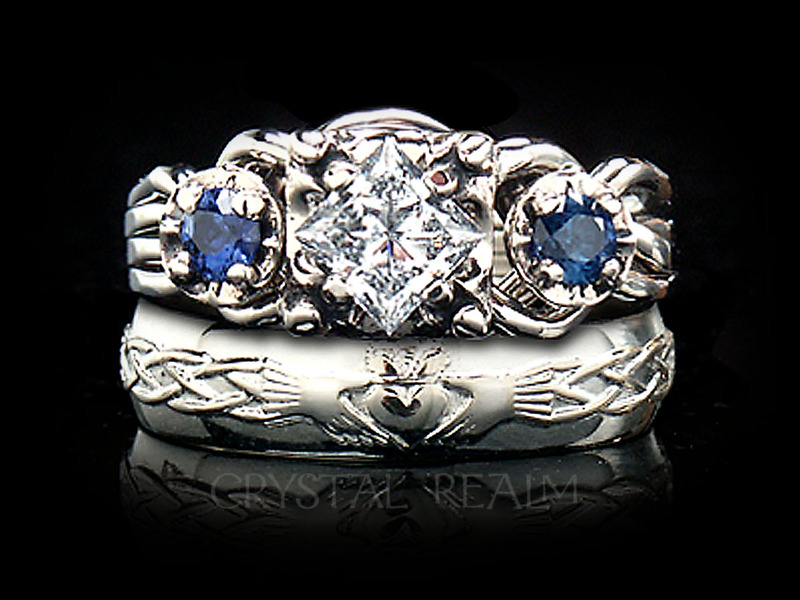 It is not possible to order this ring with an open weave, but your engagement ring may have an open weave, if you wish. 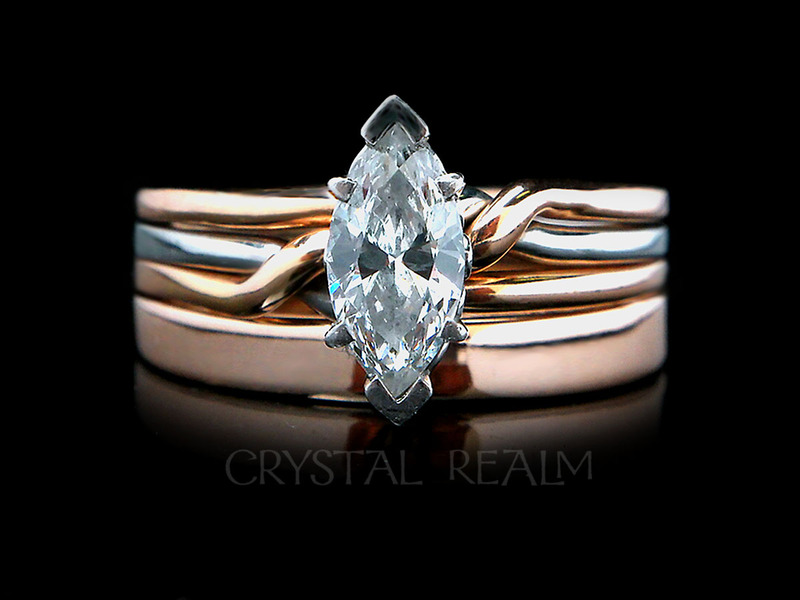 Once you have ordered your engagement ring valued at over $1,000, then you may request that we apply a credit to your card in the amount of $60, the price of this tester ring (or $75 in the event you ordered a medium-heavy tester ring). 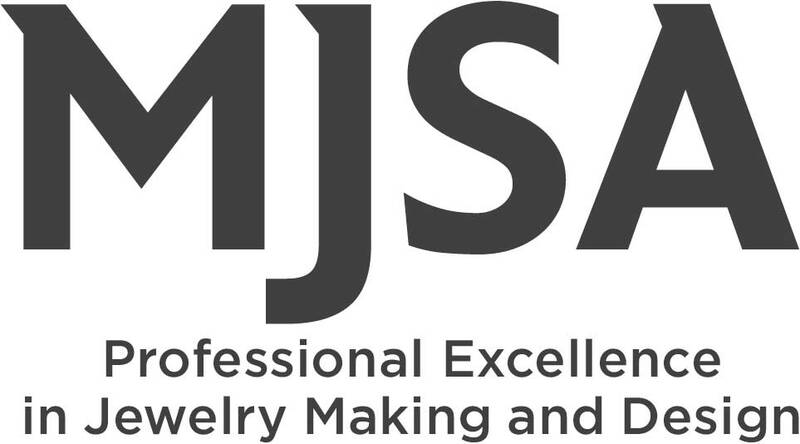 Artisan-crafted and hand-woven in the U.S.